Amy Nozaki pats the jiggly block of tofu she has just uncovered after pressing it in a wooden crate and pronounces it “perfect.” She and her husband Chester run The San Jose Tofu Company, which may be the last local shop to make tofu the traditional way, completely by hand. This physically demanding, time-consuming process creates creamy blocks of utter freshness: sweet, silky, slightly nutty bean curd that is as far from those chalky chunks packed with preservatives in plastic tubs as a loaf of Acme’s Pain au Levain is from Wonder Bread. San Jose’s Nihon Machi, a long, wide city block, is one of only three Japantowns nationwide. (The others are Los Angeles’ Little Tokyo and San Francisco’s Japantown — which I previously profiled on an Edible Excursions tasting tour). On my recent foray to San Jose’s Jackson Street, nestled among the gift shops, ukulele stores, ramen and sushi spots, I discovered two culinary cultural gems run with devotion by husband and wife teams: the Nozakis and the Kumamarus. The San Jose Tofu Company was started in 1946 by Chester Nozaki’s grandfather and passed down to Chester’s father. Although Chester had worked in the shop as a boy, delivering fresh tofu on his trusty red Radio Flyer wagon, as the second son he had no plans to follow in his father’s footsteps. In fact, he was studying industrial engineering. But when his older brother declined to inherit the tofu company, Chester dropped out of college and stepped in to help his father. He met his future wife, Amy when she was a waitress at a Japanese restaurant down the street from the tofu shop. Amy, originally from Taiwan, turned out to have an innate talent making tofu and eventually joined the family team. The mild-mannered Chester tells me about a turning point in his life, “When I was in my 40s, customers began asking me if I was ever going to take over the business.” Emboldened, Chester informed his father that he didn’t want to wait until he was 64 years old to take the reins. As an oblique answer, his father immediately handed over the ledger book and described how he should make payments to vendors. Once he was in charge, Chester’s first thought was to automate the business in order to produce more tofu. His father, in his characteristic soft-spoken manner, made it quite clear that this was not an option. Nowadays, Chester is in charge of PR and the business side, while deferring the cooking duties to his wife’s skill and intuition. Amy, clad in boots and apron, deftly navigates the slippery floor in the open kitchen, a simple set-up that allows the steady stream of customers to view the entire tofu-making process. With the vagaries of weather and over 200 possible varieties of non-GMO soybeans, there is no ironclad recipe for length of cooking and pressing. “It all depends,” says Amy explaining that she does everything by feel. After the beans are soaked overnight, ground with the help of the shop’s lone machine (a bean grinder), they are cooked in water, then transferred to a hand-operated bean press which liquifies the ground beans into warm soy milk. A natural coagulant, nigari, is added to the soy milk. Armed with a large paddle, Amy stirs the curds in a huge pot until just the right consistency is achieved, then scoops them into wide rectangular wooden crates, lined with cheesecloth. These are covered with wooden mats and heavy weights for about a half an hour until they reach the desired density. Amy then turns out the scored tofu blocks to bobble in a cool water bath and hand cuts them into cubes. Two years ago, the Nozakis added a new product to their line, a softer textured “tofu pudding” which comes with a brown sugar and ginger syrup, a traditional Taiwanese combination. This popular sweet sells out quickly every day. Many of the customers are regulars who come into the shop armed with their own plastic tubs to transport their delicacies. The Nozakis sell to a few nearby markets but without any preservatives their tofu is at its best for only a few days. A while back, Iron Chef Morimoto visited the shop while he was setting up his restaurant in Napa. When he tasted the Nozakis’ tofu he was impressed with its sweetness and informed them he would serve it at his restaurant as long as they could deliver to Napa. Chester smiles ruefully and explains that he had to turn down the Chef’s request as his tiny family business didn’t have the resources to make such deliveries. When I take my precious bundle of tofu home, I decide to let its pure fresh taste shine through and so prepare it in the simplest fashion: topped with grated ginger, chopped scallions and a drizzle of soy sauce. In a modest shop down the street from the Nozaki’s tofu shop, a long glass case holds jewel-toned gems of sweetness: enticing orbs of pink, mauve, and gold. In the back room of Shuei-Do Manju Shop, I meet Tom and Judy Kumamaru and learn the secrets behind these traditional Japanese treats. The couple sits amiably across from each other in the humid, sweet-scented room, like they have for 27 years, with a glowing pastel blob of hot rice flour mochi between them, their hands a blur of movement: pinch-stuff-fold-roll-pinch-stuff-fold-roll. They produce 800-1000 sweets a day: puffy pillows of rice flour mochi, glowing green yokan jelly cubes, strawberry chichidango or golden baked manju—most stuffed with the traditional red adzuki bean or white lima bean fillings, in a variety of shapes and combinations. Before they started making these soft sweet clouds, the couple fabricated other things. Judy was a dental technician fashioning false teeth and Tom manufactured printed circuit boards. With the looming prospect of layoffs in their future, they became interested in the idea of owning their own business. Shuei-Do Manju Shop (the name literally means “gathering place”) has been around for 62 years and was established by another husband and wife team: the Ozawas, who ran the business for the first 35 years and were friends with Judy’s parents. One day while the four elders were on a fishing trip, Judy’s parents (who were big fans of the store) remarked that when the Ozawas retired, maybe one of their children could take over their business. During the ensuing negotiations, the Ozawas promised to train Tom and Judy for the first 6 months of ownership, but there was just one snag. They refused to let them see the back room where the actual labor occurred until the deal was signed. “Maybe they thought we would get scared to see how much work it really took,” quips Judy smiling. Tom, who was born in Japan and came to California when he was 4 years old, grew up in Stockton, where his father worked as a gardener and tofu maker. He wasn’t particularly fond of sweets. Now his days are filled with them. The beans for the anko fillings must be soaked overnight, then cooked, strained and pressed. He cooks the bean fillings, whips the hot rice mochi so it will have the proper elasticity and helps his wife roll out multitudes of little balls. Tom and Judy make 18 different kinds of manju and mochi, including a wildly popular variety for the traditional Japanese celebration of “Girls’ Day” in March—sakura mochi with textured pink rice wrapped in a cherry leaf. Although you can find boxed mochi in stores from Japantown to Costco, like the Nozakis, the Kumamarus use no preservatives, so their products are at their best for just a few days (but Tom says you can freeze them). They sell to a handful of stores and have a standing order with Apple. Steve Jobs had such an affection for handmade mochi that he told his chef to fly to Japan to procure some. A bit of research turned up Shuei-Do just 10 miles away, where Apple still has a standing order twice a week. “Converting to machine-made mochi and manju is tempting; we could make maybe 2000 pieces an hour,” says Tom, “but then we would lose our uniqueness. It’s important to carry on the tradition of working hard so that Japantown does not lose its special flavor. What makes me happy is seeing how customers react to their first taste,” adds Tom, who was impressed to learn that many of his patrons hailed from countries across the globe, including Germany, Australia and Saudi Arabia. His rice flour treats also attract Asian customers, whose own cuisines feature similar rice flour sweets, including Korea, Vietnam and the Philippines. The classic Japanese filling is sweetened bean paste, but that doesn’t stop customers from making other requests. “People ask us to fill them with berries or chocolate,” says Judy, “but we prefer to stick to the traditional.” The one concession they’ve made is a crunchy peanut butter-filled mochi that achieves the perfect balance of sweet and salty. Perhaps not surprisingly in the 21st century, neither the Nozakis’ nor the Kumamarus’ children (who are all in their 20s) have expressed any interest in taking over their parents’ businesses, so the future of these two cultural gems is uncertain, which makes their traditionally-made tofu and mochi all the more precious. 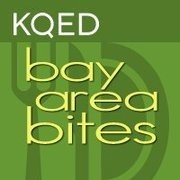 A version of this post first appeared on KQED’s Bay Area Bites, June 16, 2014. I am thrilled that it’s been the most popular piece I ever posted and has brought customers to the lovely shop owners who shared their stories with me. This entry was posted in desserts and sweets, food artisans, handmade, Japanese food, Japantown, San Jose and tagged handmade tofu, Japantown, manju, mochi, san jose, San Jose Tofu Company, Shuei-Do Manju Shop. Bookmark the permalink.